This video briefly describes how an automatic tool presetter works on a Haas cnc turning center. 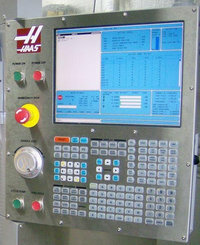 Through automatic tool probing you can easily offset a new tool and also can check for excessive tool wear. Sinumerik 808D cnc from Siemens is easy to set-up and run. As this video shows how a cnc machine turning, threading tool can be easily measured for tool offset setting. For cnc machinists who work on a fanuc cnc control then here is an article which briefly describes the same procedure of tool offset setting.